Growing out of Halloween? Totally not an option! Of course, we all reach a point when we’re tired of the same old trick-or-treating, Casper, candy corn and those weird “eyeballs” that are just peeled grapes. But you can keep celebrating Halloween even when you start to get a little bit more sophisticated. In fact, Halloween is particularly suited to a certain gothic glamor that lends itself to elegant dinner parties and spooky soirees. You just have to know how to modify your usual traditions to fit the chic new you. 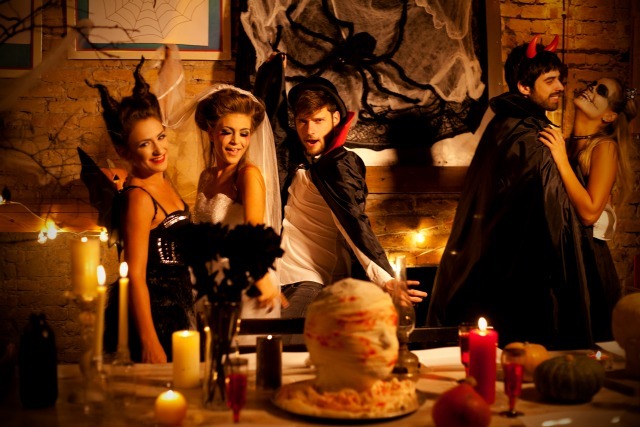 These tips will help you throw a Halloween party that your friends will be talking about all year. More Katherine's collection Halloween decor! You can be creepy and still classy — just look at Morticia Addams’ gothic dream house. Instead of decorating your home and yard with severed limbs, fake blood and screaming, animatronic ghouls, opt for imposing gargoyles (foam ones will do just fine), black lace everything, velvet accents and tarnished candelabras. Now add in your classic fog machine and just a few novelty spiders, and you’ve set a scene worthy of any classic horror film. Candy corn just won’t cut it if you want to host a truly chic Halloween party. First, you want to make sure you have some savory snacks on hand. Opt for classy finger foods that have a dramatic look about them without being explicitly Halloween-themed — think fig, balsamic and goat cheese crostata, blini with caviar and prosciutto-wrapped asparagus. Next, the candy. Every Halloween party needs candy, but you’ll want to opt for something a little more luxurious than what you got in your trick-or-treating bucket as a kid. Opt for high-quality indulgence. 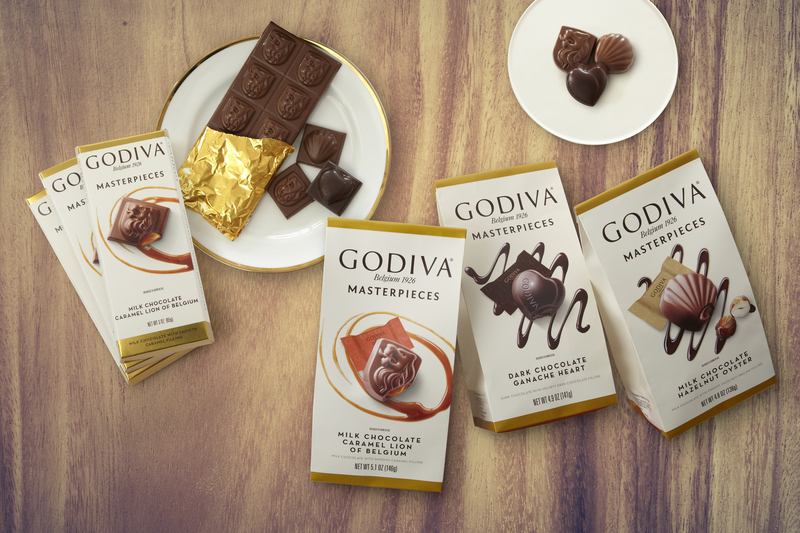 Godiva Masterpieces chocolate goes with the moody, dark decor. You can hand out the individually wrapped chocolates — in Milk Chocolate Caramel Lion of Belgium, Dark Chocolate Ganache Heart or Milk Chocolate Hazelnut Oyster varieties — to your guests as party favors and serve a few of the filled bars on your dessert table. Everyone’s sweet tooth will be satisfied. Music helps set the mood at any party. Ditch the haunted house sound effects CD and put on a new kind of music — classic horror movie film scores. Composers like Bernard Herrmann (The Ghost and Mrs. Muir, Psycho), Wojciech Kilar (Bram Stoker’s Dracula), and Danny Elfman (Edward Scissorhands, Corpse Bride) write instrumental music that will give you goose bumps on the back of your neck without resorting to shrieking banshees or ominous laughter. No matter how elegant your party setup is, things will feel a little silly if someone shows up in a giant Elmo costume. That’s why themed Halloween parties are so great. 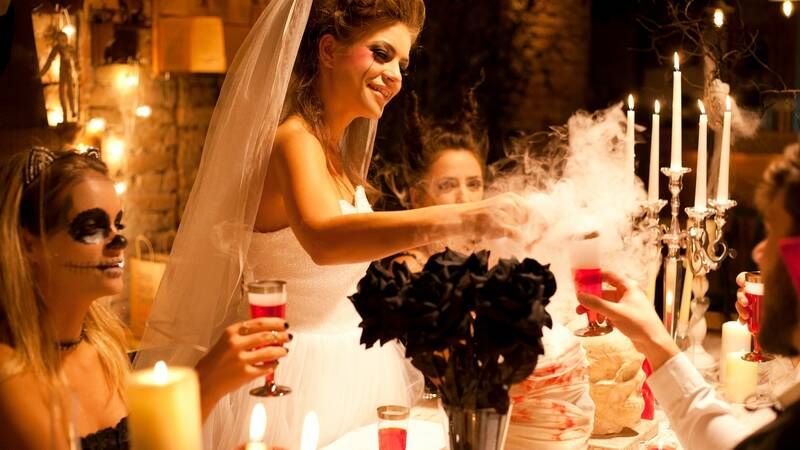 You can ask your guests to dress up as debonair vampires, Victorian ghosts, kings and queens — basically, whatever will ensure that the vibe is somewhere along the lines of undead-black-tie-optional with no life-size Grumpy Cats or poop emojis in sight. These days, it seems like you can find Halloween decorations in all sorts of colors — orange, purple, lime green, red, black. But put them all together, and things start to look more like a zany carnival than a creepy haunted house. Instead, pare down your color palette. I like black with one accent color. Even black and gray, too somber for the other 364 days of the year, work perfectly to create a softer spooky mood. And don’t forget flowers. Monotone arrangements made with black silk flowers, crow feathers and lace keep things sophisticated and more than a little creepy. With these tips, you’ll experience Halloween in a totally new way. Sure, you’ve outgrown the glow-in-the-dark skeletons, but gourmet chocolate, black lace and classic movie music make for an Oct. 31 even the most sophisticated among us will want to celebrate. This post is sponsored by Godiva Masterpieces, now available where you shop every day.